The classroom isn’t the only place where learning happens: The Central New York Region is rich in educational places ideal for home-schooled children and their parents. While textbooks are important, there’s no substitute for hands-on, real-life learning! Parents and pupils alike will appreciate the high level of interactivity at our region’s educational venues – from museums and historic properties to discovery centers. Don’t let the cold weather stop you; the following hand-selected venues operate all winter long! Rev up your engines and head out to the Northeast Classic Car Museum in Norwich. There, your child can explore the impact of the automobile on American culture and society. The Museum’s goal is to use various automobiles to pique students’ interest in history, literature, math, and technology. A guided tour customized to the educational level of your children is available. The tour incorporates lessons such as the economic effects of the automobile’s invention, how the automobile has contributed to technological and scientific developments, and what mechanisms and variables impact fuel efficiency. Energy issues such as alternative sources and green power are also touched upon. Children of all ages will benefit from a trip to the Discovery Center of the Southern Tier. There, you’ll find interactive exhibits that are both fun and educational. For career exploration, children can step into a plane cockpit, be a live anchor in the television studio (complete with weather maps for budding meteorologists! ), and even step into a simulated hospital and dentist office. Budding artists can spend time in Studio 60: a working art space. History is a vital part of the educational process as studying the past allows us to better understand our present and future. 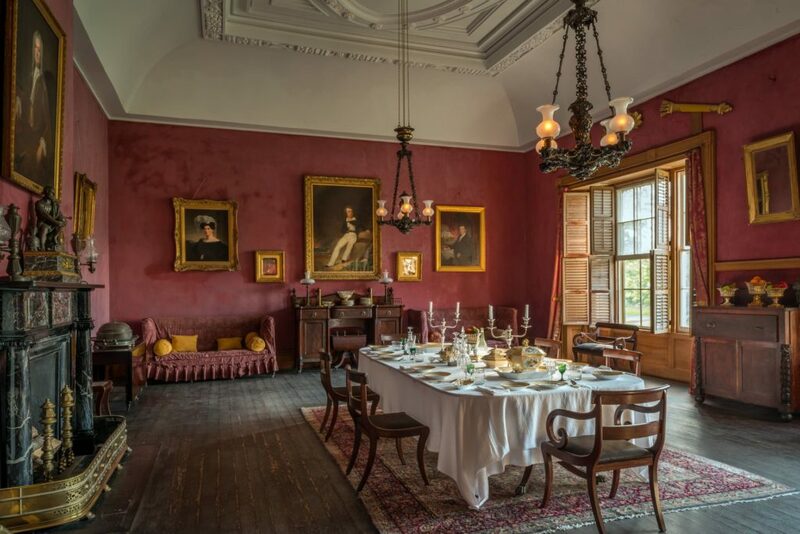 Get one step closer to history with a visit to the Oneida Community Mansion House. Between 1848 and 1880, this sprawling brick mansion was home to over 300 people who were part of the Oneida Community, a communal-living society that subscribed to a utopian philosophy. Today, the Mansion House is committed to providing educational opportunities. There are two established programs offered: one for fourth, fifth, and sixth graders and another for high school students of U.S. History that utilizes the Mansion House to illustrate such subjects as gender, reform, religion and utopian philosophy. There’s a story behind each of the 25,000 artifacts housed in the Walter Elwood Museum at the Guy Park Manor in Amsterdam. The artifacts fall under four categories: multicultural, Victorian, natural history or local Mohawk Valley industrial history. “Using the past to illuminate the present” is the objective of the museum, especially as it relates to students. Exhibits are frequently updated, guest lecturers present their insights and creative activities are planned to bring the artifacts to life. Travel to the New York Power Authority’s Blenheim-Gilboa Visitors Center for a triple play of educational opportunities: History, energy science, and nature are all waiting to be explored here. The center itself is housed in a restored 19th-century dairy barn, yet cutting-edge technology brings the story of power generation – including “green” processes like solar and wind – to life through interactive displays. There’s plenty of learning locations that lie ahead, just waiting to be explored in Otsego County! Stop at the Fenimore Art Gallery for an enlightening look at American folk art and American Indian art, as well as photography and 20th century art. Be sure to check out the on-site 1750 American Indian Bark House on Otsego Lake’s shores. For some reason, folks tend to forget that most zoos are open year-round in the Central New York Region! The Utica Zoo has awesome attractions – both indoor and outdoor – that provide children an opportunity to learn about animals all year long. For example, the outdoor Siberian Tiger exhibit showcases the animals in their natural habitat and the snow leopards don’t mind the cold either! Indoors you’ll find reptiles, birds, and other mammals. Head to Herkimer County where history comes alive for students. The Town of Webb Historical Society’s Goodsell Museum is a must-visit. It’s an excellent introduction to Adirondack-related history, commerce, and wildlife. While you can’t drive through it, stop to see the famous Salisbury Covered Bridge and use it as a talking point for transportation methods of the past. A trip to the Remington Firearms Museum reveals a typewriter used by Mark Twain as well as many firearms of historic significance (like Annie Oakley’s rifle and rifles used in our nation’s wars).